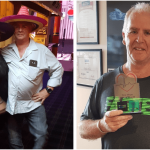 Meet Arna Williams, I would like you all to meet one of my dearest friends – Arna! FIT, FABULOUS and loving her 40’s – very early 40’s lol! We asked Arna some questions and this is what she has to share with us……. What made you join a gym? I joined BodyFix after 3 weeks of not eating dinner, with zero results. At my first training session with Steve, he asked ‘Arna what you are drinking? This was due to stress – children, working full time, earthquake repairs & my relationship with my husband. We trained that day and it would be fair to say he nearly killed me. At the end, he said ‘Arna just try and have two wines a week’ see you next week. And there is it was right there…..a small change that lead to a life time of changes. At the time I had two young boys 1 & 3. So was time to get fit for my children, as they are very busy boys. Have you always been a gym bunny? No, I have been always just been on & off over the years and just due to my boys, work and travel. Too social & smoking when a teenager. What events have you achieved in the last couple of years? 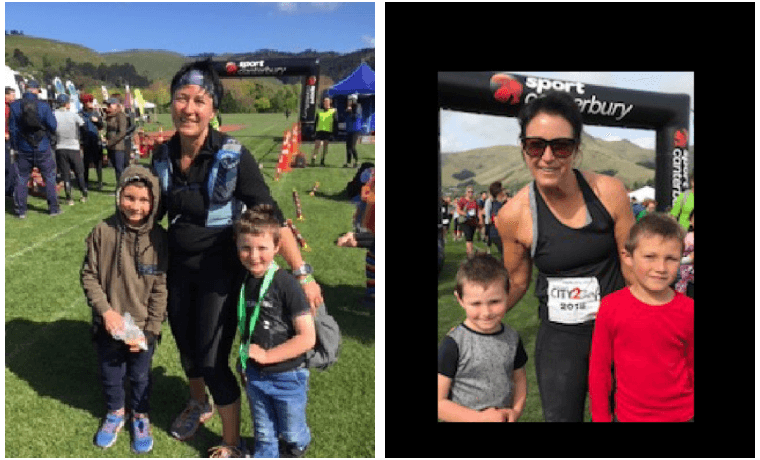 Since joining BodyFix I have taken 14 mins off my Christchurch Half Marathon time, Run Motatapu Marathon, Completed Wanaka Challenge Half Iron Man and just finished Crater Rim Ultra. What advice would you give others that are looking at starting their exercise journey? Join Bodyfix & get a Personal Trainer & learn the to be disciplined. How have you found your training and what do you love about it? Steve Dingwall who is my trainer has been an absolute saviour. His training sessions every week are so different and give me a real variety in my training. I like to mix it up, from the awesome HIIT classes, Spin and combined with my strength training this has given me a great foundation to running, cycling and swimming. With the classes, I have made some very special friendships who have changed my life for the better! How has your life changed by exercising? Life changing where do I begin? I now know what the secret to life is. Fitness is a must for whole wellbeing. Have your friends and family noticed the difference in you since using? 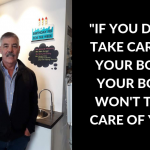 YES – I have been through a lot since my time at Bodyfix, physically and personally as 18months ago went through a separation. It was such a testing time. But because of my physical addiction to fitness, it definitely helped me keep my head clear and I put this all down to the Bodyfix and the journey they have taken me on. I now have two really happy boys – a really happy ex-husband and I am really happy too. My fitness was hugely important at that time and always will be.